O mercado brasileiro de energias renováveis vem se expandindo. Instalações com placas fotovoltaicas nos telhados das casas e empresas, estão se tornando cada vez mais frequentes. Investimentos neste setor se tornam mais atrativos com o passar dos anos, pois a população brasileira tem demonstrado interesse por outros tipos de energia, como energias limpas e sustentáveis. Com elevadas taxas na conta de luz e a necessidade de uma eletricidade livre de poluição para o planeta, o brasileiro tem motivado a buscar energias renováveis como alternativa mais barata e como contribuição para o meio ambiente. Foi pensando em situações como esta e em como expandir energia limpa que a Comunidade Solar ENGIE aposta em um novo produto. A empresa está construindo uma usina de 2MW AC em Minas Gerais, que será dividida em cerca de 70 quotas. A Assinatura Solar entra para cada consumidor que estiver interessado na sua participação na usina em adquirir uma quota de acordo com seu consumo. Os contratos estarão disponíveis para todas as empresas da área de concessão CMIG. Assim, beneficiará aquelas empresa que não querem investir em um sistema completo no seu telhado ou não querem ou não podem usar a estrutura no seu telhado. O Plano de Expansão da empresa é de 50MW AC em Comunidades Solares ENGIE por todo o Brasil nos próximos meses. Após a construção da usina solar em Minas Gerais, que está prevista para término no terceiro trimestre deste ano, a ENGIE construirá as novas Comunidades Solares irão se expandir para Rio de Janeiro e São Paulo. A empresa garante outros benefícios aos clientes com uma maior eficiência do sistema, dos equipamentos e melhor controle do consumo. A aposta da ENGIE é um sistema com serviços de eficiência energética e monitoramento de energia associados às instalações de geração distribuída. Serviços descentralizados de geração de energia e de geração limpa fazem parte de condomínios solares que vêm tomando o mercado no Brasil, país com grande potencial solar, com abertura para as chamadas usinas solares. Essas comunidades solares facilitam a energia limpa chegar até o consumidor. É por isso que o marktplace COSOL viabiliza a harmonia desse sistema. Assim, consumidores que não querem ou não têm possibilidade de adaptar sistemas fotovoltaicos nos seus telhados irão se beneficiar deste modelo de mercado de energia limpa e as usinas solares que necessitam do gerenciamento contarão com o trabalho da COSOL. With the energy industry trending toward a distributed and connected future, entrepreneurs and industry leaders have an opportunity to look ahead for solutions they can start building today. Bitcoin’s underlying protocol, called “the blockchain”, is a distributed consensus-driven infrastructure enabling trust between connected assets. While currently considered only a financial tool, the blockchain’s actual capability is extremely broad. And just as advances in TCP/IP created vast opportunities for the internet, the blockchain is enabling us to rethink the basic infrastructure of how energy is distributed, accounted for and secured. For example, microgrids could become more resilient with peer-to-peer communications. P2P enables intelligent electronic devices to share information directly without the need for a centralized system. Also data about the asset activity, and hence the value, can be exchanged instantaneously 24/7, giving rise to new business models and applications for many distributed energy sources as well as increasing the security and reliability of the grid. We will also have a live demonstration by Grid Singularity on how blockchain can be used in the energy sector. What is the blockchain, really...isn’t it just a financial tool? Why blockchain is and isn’t like the internet. How can entrepreneurs and industry leaders leverage blockchain technology? What is the business impact, opportunities and potential disintermediation? What are the regulatory hurdles and how might blockchain help us address issues of national security? Thanks to our friends at WGBH’s Forum Network, we’ve got this great video from our February 2016 event on the use of the blockchain in distributed energy! This packed house event with Scott Clavenna, CEO, Greentech Media, Inc, Joi Ito, Director, MIT Media Lab, Paul Brody, Ernst & Young, America’s Strategy Leader, Technology Sector; Leader, global strategy on Blockchain, Ed Hesse, CEO, Grid Singularity and Lawrence Orsini, CEO, LO3 Energy discussed how we might use the blockchain to rethink the basic infrastructure of how energy is distributed, accounted for and secured. As a bonus, we had an amazing demo at the end of the event (and the video below) — a Bitcoin transfer was made that bought electricity for a small school in South Africa, in real time. It was awesome. Brazil’s emerging PV market poses significant opportunities for foreign as it is still at a stage before consolidation occurs and the market becomes more saturated. A panel of experts at Intersolar Europe discussed why now is the right time to penetrate the Brazilian market. Although Brazil’s PV industry is nascent – with 3GW of utility-scale solar installed to date, it yields attractive prospects. “The underdeveloped Brazilian currency makes projects cheaper for foreign investors,” said Miguel Lobo, Brazil director of Martifer Solar. He also cited the country’s “stable and reliable regulation” and “20-year government-backed PPAs” as further reasons why Brazil is an ideal market. Eduardo Tobias Ruiz from Clean Energy Latin America (CELA) attested the “competiveness and great business environment” of the market as “imperative to growth”. Notably, Brazil does have one of the highest interest rates in the world but “if companies know how to exploit the significant tax burden, there is lots of potential for the Brazilian PV market,” said ASBZ Advogados lawyer Alexandre Gleria. The country is also currently enduring a fiscal crisis but still has “solar as a priority” according to Felipe Guth, manager of the department of renewable energy for BNDES (Brazilian Development Bank), who also emphasised the strength of the margins and returns. Brazil has two PV auctions scheduled this year – for July and October respectively. Maurício Tolmasquim, president of EPE, Brazil Ministry of Mines and Energy, said that the two auctions may be combined, but the total amount of PV awarded would be the same. The country’s last auction in November awarded 1.5GW, with the preceding auction in August seeing 31 PV project wins. To this end, products can be assembled in Brazil to fulfill the requirement. “Instead, create a market first and then increase the local requirement,” said Tolmasquim. "This is a smart policy because low level of content to receive BNDES money, with a bonus available if you have high content. Nowadays you may import everything and assemble it in Brazil and still have access to vendors’ money." A few days after the revision of Brazil’s net-metering regulation, and before the government announced a new distributed power generation incentive plan, a researcher in the Federal University of Bahia (UFBA) launched a new 'Solar Condominium', spearheading the country’s search for new business models for rooftop solar. “The project has been developed to be adapted to the new net-metering rules,” Hungarian born Csaba Sulyok told Recharge. In a country where financing is scarce because of rates that can top 5% a month and average earnings stand at around $20,000 a year, a $15,000-$20,000 investment on a rooftop array of less than 10kW capacity is only available to the few. As an example, despite a potential for more than 50 million rooftop arrays, just over 1,000 roofs have solar modules installed under the 2012 net-metering rules. “The Solar Condominium (Cosol) is a 5MW plant that will sell or rent out panels to consumers,” said Sulyok, who has been living in Brazil for about half a decade and saw the opportunity to make money in solar power. The idea to build ground-mounted solar PV to supply power to homes and businesses through net-metering arrangements was only firmly permitted in the nine-month-long revision of the 2012 rules that concluded in November. 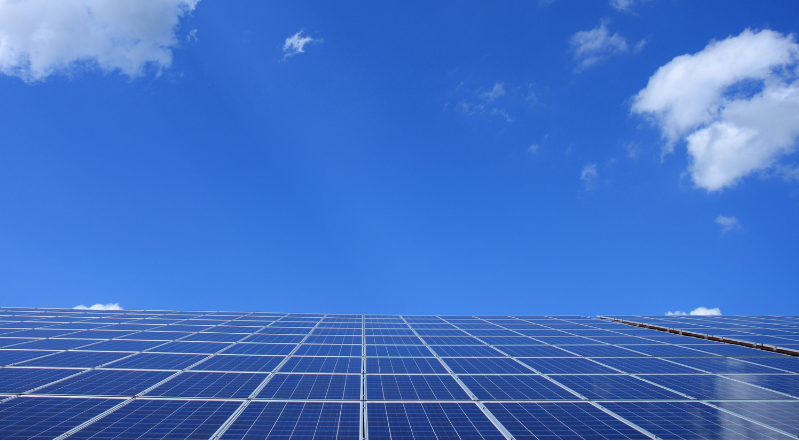 These rules, combined with rising power prices, wire-fee discounts and tax reductions now allow for this and other business models which promise to boost rooftop solar to over 4GW by 2030, from a current 9MW capacity. Like Cosol, others have already come up with new business models. Also in the state of Bahia, local Brazilian solar firm Brasil Solair built 2MW in a horizontal condominium of low-income houses. With financing from Brazil's National Savings Bank (CEF) the panels were installed and the power generated is now sold in the wholesale market, generating a monthly R$90 revenue per family after the managers of the condominium pay off all expenses. In the state of Ceará, Prátil – an electricity services subsidiary of Italian power company Enel – built a 1MW ground-mounted solar plant to supply the retail shops of a local chain of chemists. Rodrigo Sauaia, executive president of the Brazilian Solar Power Association (Absolar), said that under the new rules Prátil's project is now legal, since before the revision of the net-metering rules, it wasn't clear whether this business model was allowed. In November, Sauaia had dubbed the revision a “historic day” for solar power in Brazil, and he was even more optimistic after the government announced a broad distributed generated power programme in December, which indicated that power distributors should contract 10% of their needs from small arrays in the concession areas and signalled new financing mechanisms. “Private banks are looking more and more at solar power, but if the government created a credit line through one of its state banks it would grow in scale,” said Sauaia, pointing out that there is resistance from distribution companies to the installation of new solar arrays. They consider that a growing number of rooftop arrays implies the use of the existing network, or new investments to upgrade it. As result they are questioning the exemption of wire usage fees. The solar industry says they fear losing revenue. For Engenho's Pinto, however, for the rooftop solar market to accelerate and for banks to really commit with financing, power distribution companies would have start to investing in the sector. “This is the only way for solar power to gain scale. In the middle of [an economic] crisis I don't see many people investing in solar power, especially because there is still a lot of doubts about its benefits in Brazil,” she said. Among her clients are several power distribution companies and their trade group, Abradee, whom she advises on new business models. “They could rent out roofs to install solar modules and resell the excess power through their network, making the modules free for consumers,” she said. “This works for consumers also: if someone doesn't have a roof, they could rent out roofs from other houses [according to the new rules]”. Still, convincing power distribution companies will be an uphill struggle. “In the long term, they are right, but, for now, with such a small number of arrays it doesn't have a big impact. But they should look in the long term because they could gain in other areas such as network stability, since the power will be produced close to where it is consumed,” Pinto said. With surge of interest in solar PV, Brazil has now over 500 module installation companies, up from around 300 in 2014. As demand grows these companies will have to seek new business models to overcome the inherent problems of a developing economy that is currently facing a crisis. “Many of these companies will fail. Let’s hope they won't harm the reputation of solar power,” Pinto said. Meanwhile, Cosol's Sulyok has already obtained support from the university, keen to see a start up arise from its ranks, a green light from the National Development Bank (BNDES) that it would finance, and is looking for investors. “People are interested, I just hope the rules don't change,” he said. Brazil’s energy regulator National Electric Energy Agency (ANEEL) has approved an “historic” revision of the country’s net metering scheme for small-scale renewable energy systems, making it amongst the most forward-thinking countries in this sector, according to Rodrigo Sauaia, the director of Brazil’s solar industry association, Absolar. The revision, which has been scheduled since the net metering regulations were first implemented several years ago, came about after the realisation that the number of installed small-scale distributed generation energy systems is still relatively small compared to Brazil’s potential. There are currently 1,300 installed systems connected to the grid of which 96% is solar PV, said Sauaia. Under the revision, Brazil now has ‘virtual net metering’, which means any company or consumer can install an energy system at different points of electricity use and still get credits, which can be used to abate consumption costs on another unit. Sauaia said this was already in place, but the revision clears up areas of doubt as companies and subsidiary companies are now able to share their energy under net metering. Credits are now also valid for five years instead of three years. Furthermore this “landmark” revision from ANEEL creates a new business opportunity; now any group of clients can invest together in a single PV system for example and receive a share of the electricity generated and reduce their consumption from the grid, at a level proportional to the financial resources each entity has invested in the system. Systems up to 5MW can now also participate in the net metering scheme, up from just 1MW previously. Finally Sauaia said there have been beneficial structural changes in the distribution area. Now the 63 distribution companies in Brazil will have three different power classes with three different standardised forms that will be used throughout the whole country. There is now also a provision that the subscription processes for net metering systems delivered by distribution companies must only be done online and digitally by 2017, which will increase speed and reduce costs for all parties involved. ANEEL predicts around 1.2 million consumer units will be installed in Brazil by 2024, totaling 4.5GW of installed capacity. Over the last six months Brazilian states have gradually started to introduce an ICMS tax exemption for net metering from distributed generation solar PV. Rio de Janeiro became the seventh state to do this earlier this month.